Every month, Amuse profiles a travel photographer whose work we admire, asking them to talk through their five all-time favourite shots from their career, and the challenges they faced in creating them. This month, we spoke to Fred Lahache, a Paris-based photographer with a broad and storied portfolio. Inspired to pick up a camera by his partner’s grandfather, a postman with a fantastic eye for photography, Lahache has travelled the world observing the little things, and constructing an array of striking close-ups. Rather than conventional landscapes, these unusual travel photos share more in common with still life paintings – frozen moments in time that evoke a particular place or emotion. Here he talks us through his photographic approach and his favourite shots. I like to arrange observations, landscapes and portraits in narratives. The story is the most important part of creating a great photo. However, some pictures only assume their true meaning months later, at the edit stage. So while I like to arrange objects that tell stories, I also just shoot things that elicit an emotion – shoot first and think later. They say the camera never lies, but I’m not here to show a truth necessarily. I’m not a documentary photographer. I’m okay with rearranging the truth with a little intervention, some staging, or by forcing a connection. It’s just bringing my emotion in it, or associating particular moments together. Emotions are real, and I try to stay true to them. My photographic heroes include Stephen Shore, William Eggleston, Paul Graham… The usuals, but it’s hard not to mention them. Judith Joy Ross’ portraits, Peter Fraser’s small things, and all of Sophie Calle’s work had a strong impact too. 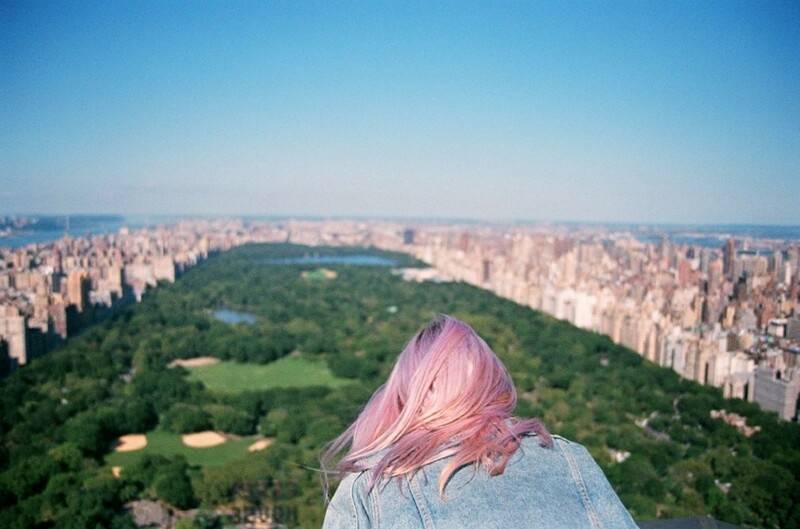 But if there’s one photo I wish I could have taken it would be that Tim Barber picture of a pink-haired girl above Central Park. The colours work together so well and there is so much spontaneity to it. I mean I wouldn’t want to have taken that exact same picture but if I did at least it would allow me to hang it on my wall, which isn’t really possible with a Tim Barber print these days haha. I took this shot of my mother-in-law in Puglia, Italy, as part of my Mediterraneo series. She was scarred by a surgery at age 14, and spent a whole year in a hospital bed afterward – these are her scars. She was really surprised with me taking a picture of her scars, so I needed to have her let me take the image. I like the colours in this shot and the sun-drenched texture of the skin. During the show I refused to let the print go, and I offered it to her first. From the ‘Looking for Hamza’ series, 2018. Shot with: Canon 5D MkII with Tamron 90mm f/2,8. I’m still crazy about this folk sewing. I took this in Morocco in 2018 for my Looking for Hamza series, and I’ve chosen it as an example of the little staging I can use in my work while still considering it as reportage. I didn’t plan the picture. Seeing this hand-sewn cloth on my table made me ask a lady to borrow it the next day, plus some fruits in her kitchen, to shoot them under the sun. It wasn’t a big deal, she was very kind, and she obliged. ‘Ruines, Turquie’, 2013. Shot with: Canon 5D MkII, with Canon 24-105mm f/4. This is from Antalya Province, Turkey , which was a centre for the Lycians, and later for the Persians, Greeks and Romans. From the furthest shore to host the Mediterraneo series, this image embodies the cultural heritage my series is also dealing with. This shot was relatively straightforward to get, but I’ll never forget the incredible heat that day, that I can tell you. “As she dropped her hand carelessly against the surface of water, she was surprised by how cold it was.” Shot with: Canon 5D MkII, with Canon 24-105mm f/4 + grip flash. My partner was lying on a pontoon in the middle of a lake in Sweden, and pregnant at the time. As she dropped her hand carelessly against the surface of water, she was surprised by how cold it was. I asked her to repeat the gesture, so I would later make it part of my F.Y.I. project. She was not aware of it, but the project became a journal of events occurring during her pregnancy, collecting emotions and sensorial traces that were likely to be felt by our future son, and contributing to the development of his senses. I’ll just take advantage of this to publicly pay tribute to Lucie, who patiently indulges my requests although she would probably prefer a relaxing weekend. I’ve asked her to stand in a field under a suffocating sun; or on a rock infested with monster ants; or to do a U-turn so I can shoot something I saw while driving; or to strike a pose a few minutes from delivering our baby. I owe her, big time. A view of the view of the Scottish highlands. Shot with: Canon 5D MkII, Canon 35mm f/1,4 L.
I took this in Scotland ; it was ironic to find such a sun with the horrible weather we were having in Paris before leaving. We heard the “you’re gonna take great pictures with fog” cliché a lot before we left, but it was lovely and a great chance for pictures too. One of our nicest trips. It was really hard to leave this spot, I loved it. Fred Lahache is a Paris-based photographer. You can see his professional work on his website , and more travel photos and outtakes on Instagram .